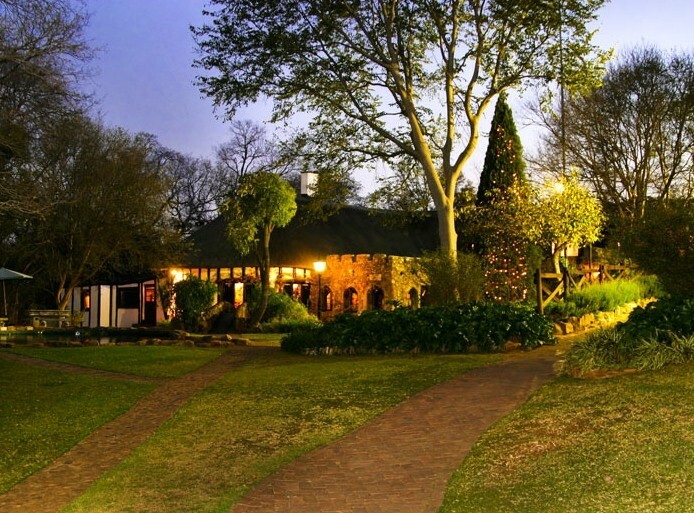 Greensleeves and its medieval feasting has been a well-known Sterkfontein venue for visitors from all over the world. Come and join in the fun with songs, stories, and fooleries of the Baron and his Minstrels and sing with the choruses. You’ll be addressed as Milord and Milady, and entertained as royalty. 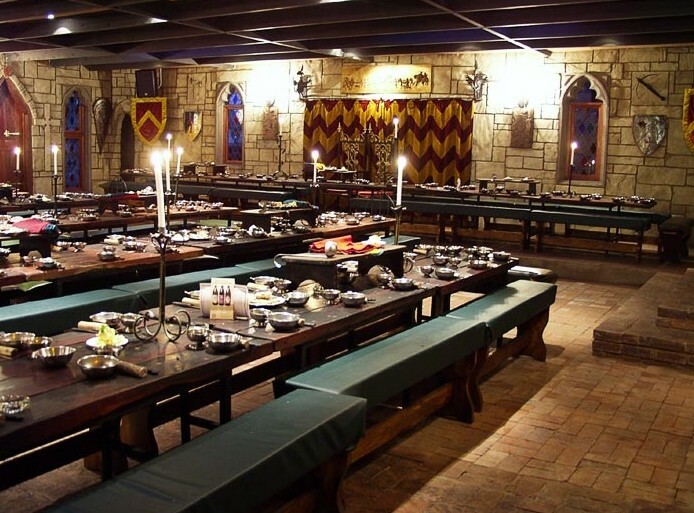 Call “Wench!” - the helpings are magnificent and served with wonderful ceremony - mouth-watering dishes - all brought by Wenches and Lackeys in period costume, to the sound of trumpets. The Deli Picnic Shop. Design your own picnic as you choose from an array of delicious treats, freshly baked breads, cold meats, pates, pies, preserves, cheeses, salads, cakes, desserts, craft beers, estate wines. Hire a blanket or bring your own, and relax in the tranquil gardens. Friars Pub Soak up the unique atmosphere of the Friars Pub, as you try the different craft beers on tap, and unusual wines. Then settle in for the traditional Pub Roast, or choose from the selection of celebrated Friar's Platters. Friars Sunday Roast Carvery On the last Sunday of every month, indulge in a grand variety of dishes, as you listen to live music. All you can eat, at a fair price and no cover charge! 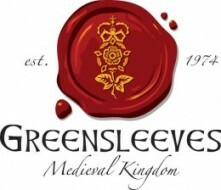 Greensleeves makes your Wedding Day that special day to remember forever. 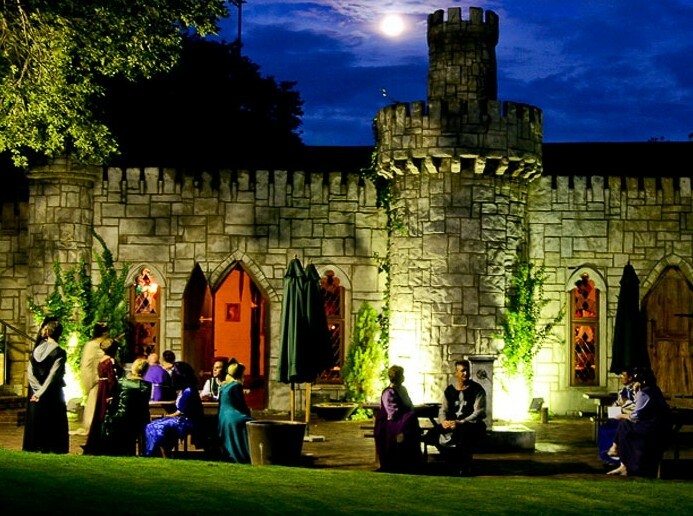 Greensleeves has gorgeous stained-glass windows, a delightful chapel and a romantic Four-Poster wedding suite...and of course the Baron and his Minstrels to entertain your guests, plus the excellent music and dancing arenas...not to mention our stunning setting for your wedding photographs. 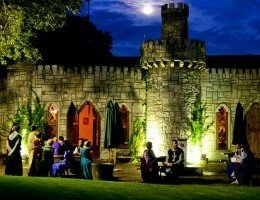 Designer made Medieval Wedding Gowns and other costumes are available for hire. Every aspect from photography to flowers can be handled for you. We have many special ideas to make your day unique!